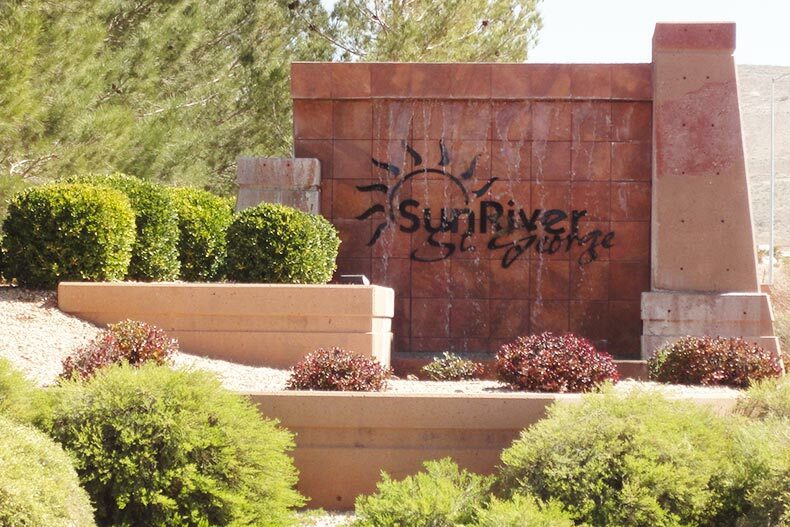 SunRiver St. George is a beautiful 55+ community that offers great homes, amenities, and activities. 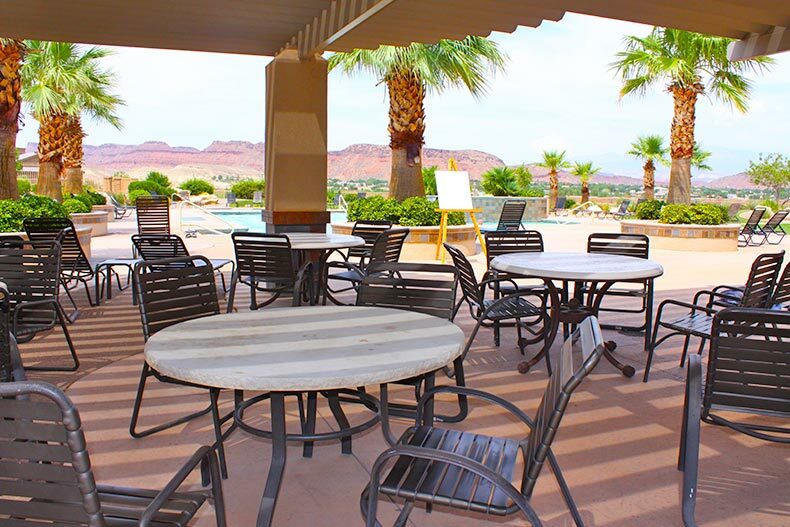 Located in scenic St. George, Utah, SunRiver St. George is a massive 55+ community that sets itself apart with its world-class amenities and tranquil views. Developed by Darcy Stewart, SunRiver St. George is comprised of both new and resale single-family homes that overlook the scenic Pine Valley Mountain. Alongside its picturesque location, the community boasts numerous amenities and activities that are available for residents to enjoy. From its beautiful swimming pools to its 18-hole championship golf course, SunRiver St. George is an active community in Southern Utah that is worth exploring. There are 2,300 new and resale homes that offer a low-maintenance lifestyle in SunRiver St. George. Developed in 1998, this gated community includes over 2,300 new and resale single-family homes that are dispersed between thirty-four floor plans. These well-constructed homes range in size from 1,008 to 3,184 square feet and are priced from the low $200s to the high $700s. Those looking for low-maintenance single-story homes can look into the gated community, Reflections at SunRiver St. George. Regardless of the model and location in the community, homebuyers can customize their homes with optional spaces, such as extended garages, patios, and offices. The variety of optional finishes ensures that each resident has what they desire in an ideal home. 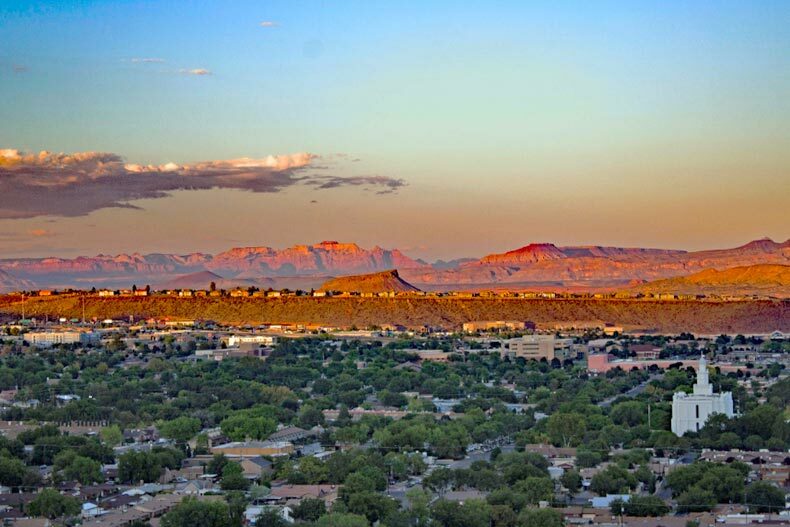 In addition to the community's view of the nearby Pine Valley Mountain, SunRiver St. George has homes that also overlook all the way to Zion National Park, one of the country's most popular national parks. Within SunRiver St. George, residents will find an assortment of amenities and activities. Serving as the social hub of the community is the clubhouse. Inside, residents will find the NewLife Fitness Center, which comes complete with workout equipment, an aerobics studio, and an indoor swimming pool. With so many fitness options available, it can be tricky to find the right fit. Fortunately a full-time activities director is available to help residents find their preferred program. In addition to the fitness center, the clubhouse holds numerous activities and clubs throughout the year including a book club, chess club, and computer club. A large ballroom hosts everything from jazz, square dancing, and round dancing while the hobby and game room has bingo, a woodshop, and more. Outside the clubhouse, residents can enjoy stay active by using the walking the trails or by starting up a game of pickleball, shuffleboard, bowling, basketball and tennis. For golf enthusiasts, residents of SunRiver St. George receive a preferred rate at the SunRiver St. George 18-hole championship golf course. The 5,500 square-foot golf clubhouse accommodates golfers at all levels, ensuring that everyone is included and can enjoy a day out on the course. As mentioned, SunRiver St. George included its own gated neighborhood within: Reflections. The neighborhood enjoys its own private amenities, including its own clubhouse, which features an exercise room and a resort-style pool. Sunset on the St. George area in Utah . Shutterstock. Situated in one of Utah’s fastest growing towns, SunRiver St. George is located just five miles from downtown St. George. This sun-drenched town is filled with southwestern charm, shopping areas, a municipal airport, and medical facilities. Surrounded by mountains and sandstone buttes, St. George is a town for nature lovers with three large reservoirs that double as parks and marinas nearby. 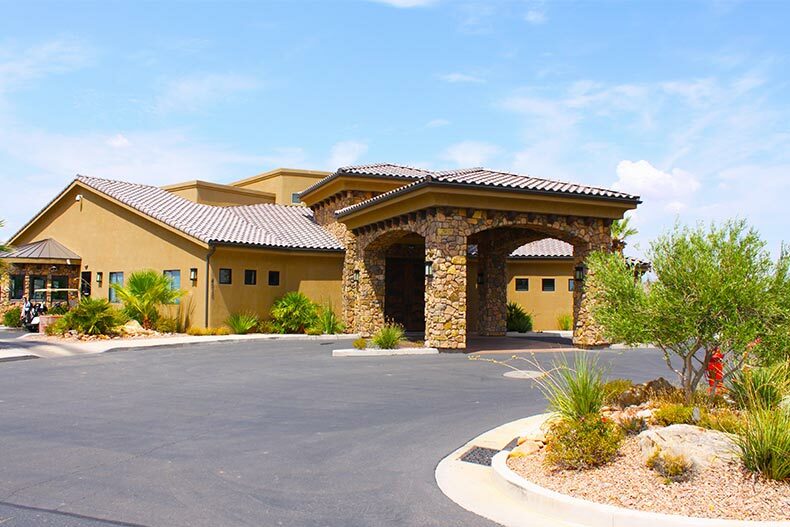 Located just off the Interstate 15, SunRiver St. George is a short distance away from eight national and state parks, including the Grand Canyon. The city of Las Vegas is also great for a day trip, being just 120 miles southwest of the community. Its endless list of amenities coupled with its spectacular views make SunRiver St. George in southwest Utah a vibrant community to discover.